Rocky Anderson, the former mayor of Salt Lake City, Utah is infuriated by recent revelations that the NSA monitored communications during the 2002 Winter Olympic Games, calling it “the greatest scandal so far of this century,” and says he would like to move forward with a lawsuit aimed at the spy agency. “When we brought the Olympics to this city, nobody agreed that we would trade off our fundamental civil rights for the government to come in and spy on us,” Anderson said in an interview with the Salt Lake Tribune last Friday. He also says the agency’s blanket unwarranted spying is transforming the “constitutional republic… in so many ways into a tyranny where the rule of law no longer means anything,” and that the US shouldn’t be allowed to host the games until the situation is addressed and rectified. It was revealed last week that during the 2002 Winter Olympics people in the Salt Lake City area likely had their phone calls, emails and other electronic communication reviewed by the NSA and FBI, according to a report by the Wall Street Journal. 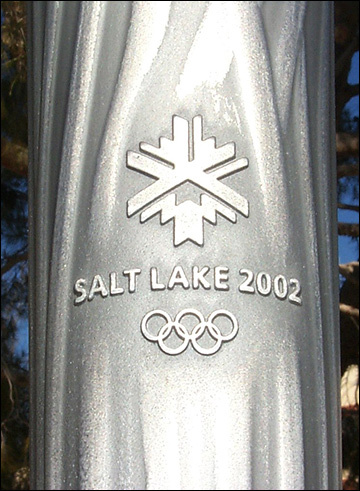 “For the 2002 Winter Olympics in Salt Lake City, officials say, the Federal Bureau of Investigation and NSA arranged with Qwest Communications International Inc. to use intercept equipment for a period of less than six months around the time of the event. It monitored the content of all email and text communications in the Salt Lake City area,” the Journal wrote last week. On the other hand, current Utah Gov. Gary Herbert, who was not governor during the 2002 games, says he cuts the spy agency “a little slack” because of the winter games’ proximity to the 9/11 attacks and because previous games had been terrorist targets. Anderson, who ran for U.S. president last year, says that’s unacceptable and that the people of Salt Lake City should be outraged.